It is a natural method of exfoliating dead skin cells, helping at the same time to revitalise and develop young skin. It offers immediate results such as the pleasant and soft feeling of the feet, which feel lighter and relieved. 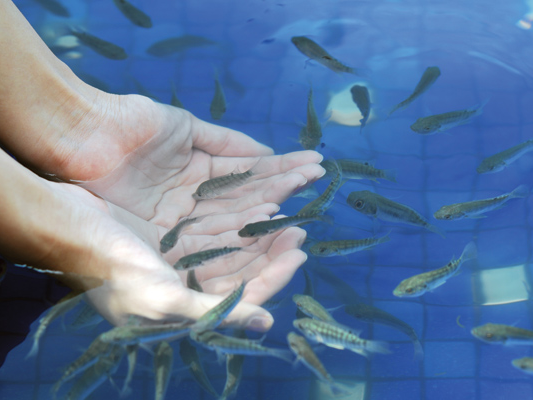 This is why fish spa services are frequently provided in major shopping centers, where people frequently get tired of walking and seek for ways to relax. Besides all the above, ichthyotherapy is by itself an unusual and unique experience, very enjoyable and entertaining. Apart from physical it also offers mental relaxation, one of the main reasons that most customers decide to try it for the first time.